C56 Mogul Steam Locomotive No. 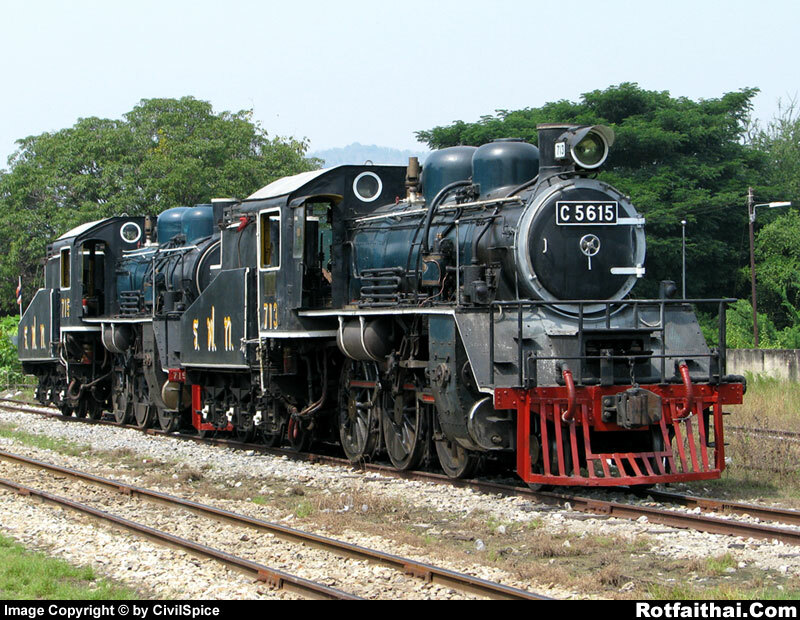 713 & 715 (2-6-0) at Kanchanaburi Station Yard. Made in Japan, put in service in 1946. Track Gauge : 1.00 m.